Water damage can be a devastating event that weakens your home’s structure and integrity if left unchecked. It all can start from a seemingly insignificant problem- a small crack in your roof, for instance, doesn’t seem to be much danger, isn’t it? You see it and think that there is no need to call a water removal El Paso company for service yet. The small crack becomes a coin-sized hole, then water leaks inside and splashes all over your carpet, the flooring, and inside walls and the ceiling. 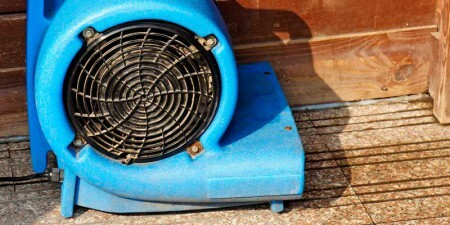 At this time, the water spreads damage by instigating mold and mildew growth in the wet areas, and these pose an immediate health risk for you and your family. A leaky roof is just one of the many water damage scenarios that need immediate restoration right away. A leaky pipe from anywhere in your home can do the same thing as a hole in the roof. Pipes can burst in freezing temperatures and during the winter season if not protected or heated. The most common pipes that are likely to leak are the basement, the bathroom and the kitchen pipes. Overflowing water fixtures such as sinks, bathtubs and toilets also cause significant water damage if left untreated. Sometimes, great water damage is not even of our own making. Mother nature may unleash natural disasters, especially if you are in an area prone to hurricanes and tornadoes, or tropical and thunderstorms. 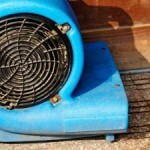 Depending on the water removal scenario, it can be a tedious job if not done correctly. – You should know where the main water valve is, and be ready to shut it off at a short time’s notice. Having to locate the main water source in an emergency is counterproductive and the damage it causes can be prevented by simple knowledge and an alert mind. Outside water pipes can be a pressing concern because they are exposed to outside elements such as freezing temperatures. – Check your home regularly for leaking parts. Start with your roof, then the main pipes carrying the major water source, like the basement pipes and kitchen pipes. The appliances that work with water should also be given due notice. See to it that your refrigerator, washing machine and dishwasher does not leak and they are all sealed tight. Try to replace the most utilized hoses once every 5 years. Water removal, in your El Paso home or business, is quick, painless and easy with Advantage Carpet Cleaning. They are professional and highly trained to deal with water extraction in all its forms. Speed is an important factor when it comes to saving your carpets, your flooring and your house, so they respond right away in emergencies. Your precious carpets and valuable upholstery can be saved from total disrepair and ruin, while health risks are completely removed with advanced water restoration techniques. Residents living in the El Paso area can surely be free from various water damage scenarios and have total peace of mind knowing that the best water removal company is just a call away and can quickly be present to save their homes from great water damage!